That said, while your ideal bath is ultimately up to you, there are a few pointers to keep in mind to make the most of your "me" time. Keep scrolling to find out how to take the perfect bath every time. To prep your skin for optimal soakage, consider buffing your body with a dry brush. In addition to removing dead skin cells, you'll also stimulate lymph flow, boost circulation, and essentially switch your body into detox mode. Queue up your "chill" Spotify playlist, light some candles, and do whatever else you need to do to feel very, very far away from life's demands, if only for the next half-hour. But also know that you don't have to spend big for a luxurious experience. 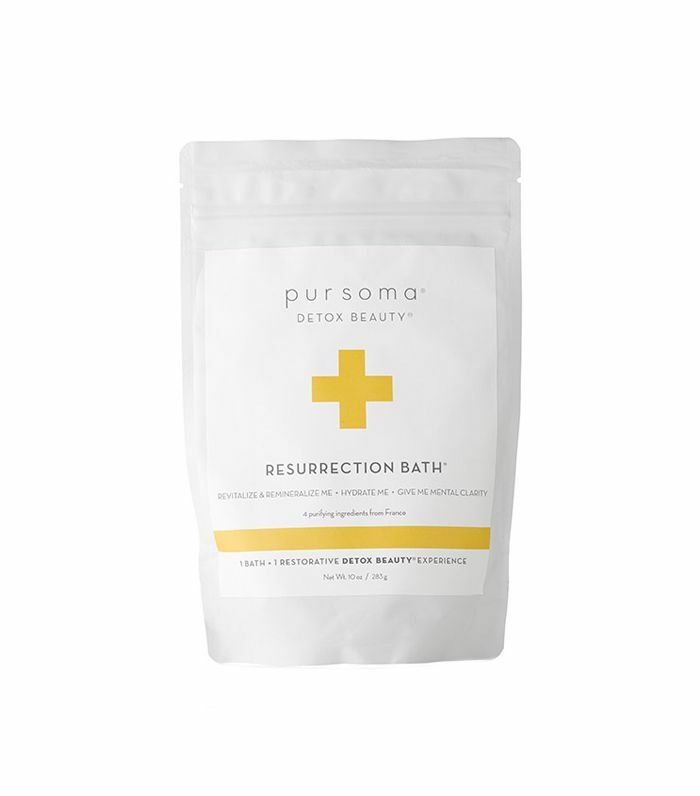 We're huge fans of Dr. Teal's Epsom salts, which are as soothing as they are wallet-friendly. (The lavender aroma might as well be Xanax.) Or you might customize your bath's scent by adding a few drops of different essential oils. Play around! There's nothing more counterproductive to a relaxing bath than a sore neck, so be sure to bolster yourself with either a designated bath pillow or a small, rolled-up towel. Then, do whatever you need to cozy up for the next several minutes: Grab a good book, keep a glass of water (or wine) within arm's reach, and after snapping a cursory photo of your setup, turn off your phone. Chances are you won't feel totally relaxed until you're actually unplugged. You'll want to sip on some water right after your bath, but be sure to give your skin a nice drink as well: By applying oil or a body lotion while your skin is still slightly wet, you'll lock in all that extra moisture. Try slathering yourself in your moisturizer of choice within a minute of stepping out of the tub. Your skin will likely be pretty slick after you're through, so wrap yourself in a bathrobe and let it all soak in for several few minutes before putting on real clothes. Next up: Learn about six morning rituals that can ease your anxiety.